M.Sc in Computer Science at the Weizmann Institute. Participated in the Technion Excellence Program: October 1993 – September 1995. 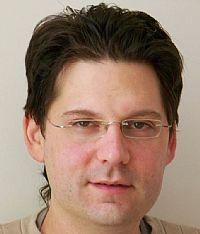 Eilon’s research was conducted under the guidance of Dr. Yossi Gil from the Computer Science Faculty in the field of object-oriented programming languages: “A Framework for Type System Definition and Manipulation in C++”. The abovementioned work was published as a prize-winning paper. Eilon took courses from higher degree curriculum and courses by other faculties (including Space Engineering). He got permissions to attend more advanced courses without the formal prerequisites and to not attend certain mandatory courses in exchange for the other courses. Recommendation to Program participants: “I would recommend to any capable students to leverage the program to thoughtfully adapt the curriculum to best meet their interests and goals; to not be afraid to try courses outside the formal program (and, do not be afraid to make mistakes in this regard…). Learn what you enjoy learning J“. Today (2017): Co-founder and CTO at Gong.io, applying machine learning and natural language processing to help sales teams do a better job. Previously a co-founder and VP Products at Webcollage, an e-commerce infrastructure provider.